In a world full of rappers claiming to be one of a kind, Le1f (born Khalif Diouf) is a real deal original, a fascinatingly complicated personality full of seeming contractions. He’s a Manhattan native who studied ballet and modern dance, and eventually earned a degree in dance from Wesleyan before returning to the city to become a rapper. He’s an out and proud gay MC whose style is rooted in Tunnel bangers from a less socially enlightened era of hip-hop. 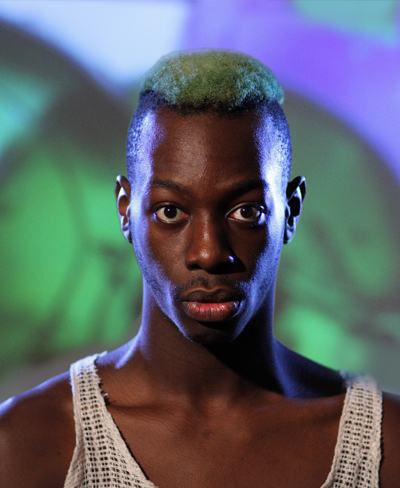 Le1f has one foot in the glossy Bling Era rap hits that he came to age on and one foot in the downtown electronic scene where he developed as an artist. Le1f’s beats refuse to settle into easy categories like “rap” or “dance,” and his muscular, hyperarticulate flow handily disposes of any misconceptions that he’s anything less than a legitimate rapper.